Shawn & Brandy O’Marro opened O’Marro’s Public House in Oshkosh in 2004. In this episode of Oshkosh Beer, Shawn and I talk about the past, the present, and what’s coming up at the pub. Sláinte! Sitter’s Wildcat Brewery on Harney Ave.
Wednesday Evening, August 24, 1927... Federal Prohibition agents were stalking Oshkosh again. This time, to break-up wildcat breweries. Their first stop was Theodore Fisher’s saloon and brewery on S. Main. They smashed Fisher’s place. Then they raced to the north side of town. The second raid was on Harney Ave. where Mathias Sitter lived. For decades, the Sitter family had been involved in the beer business in Oshkosh. In 1920, Prohibition made beer illegal. But Mathias Sitter kept the family tradition alive. Now he was headed to jail for it. Mathias Sitter had beer in his blood. In 1883, his father, Johann Sitter, came to Oshkosh from Böhmisch Röhren, Austria (now České Žleby, Czech Republic). Johann went to work for Lorenz Kuenzl at the Gambrinus Brewery on Harney Ave.
Johann Sitter Family, October 1910. Mathias Sitter, aged 9, is seated at the far right. His father Johann sits next to him. Photo courtesy of Tom Sitter. The Sitter’s made their home next door to the Gambrinus Brewery. Mathias Sitter was born there in 1901. He grew up with beer all around him. An 1890 insurance map showing the Gambrinus Brewery on Harney Ave. The Sitter home was at 178 Harney, below the red arrow. 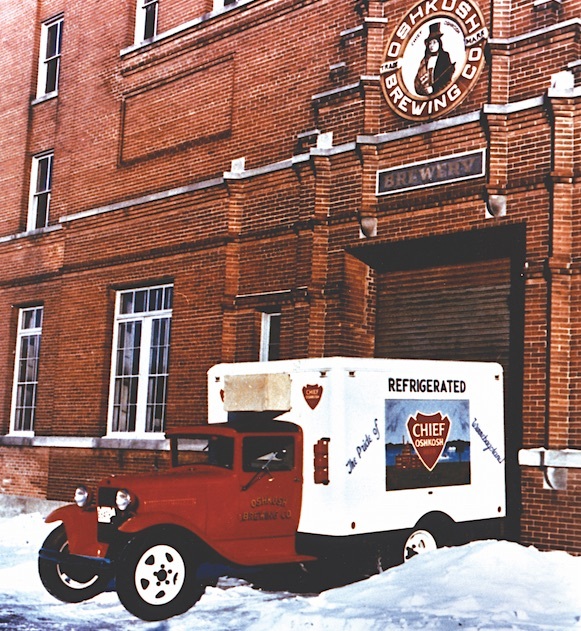 In 1894, the Gambrinus Brewery merged with the Horn & Schwalm and Glatz breweries to form the Oshkosh Brewing Company. Johann Sitter worked as a distributor and bottler for the new firm. 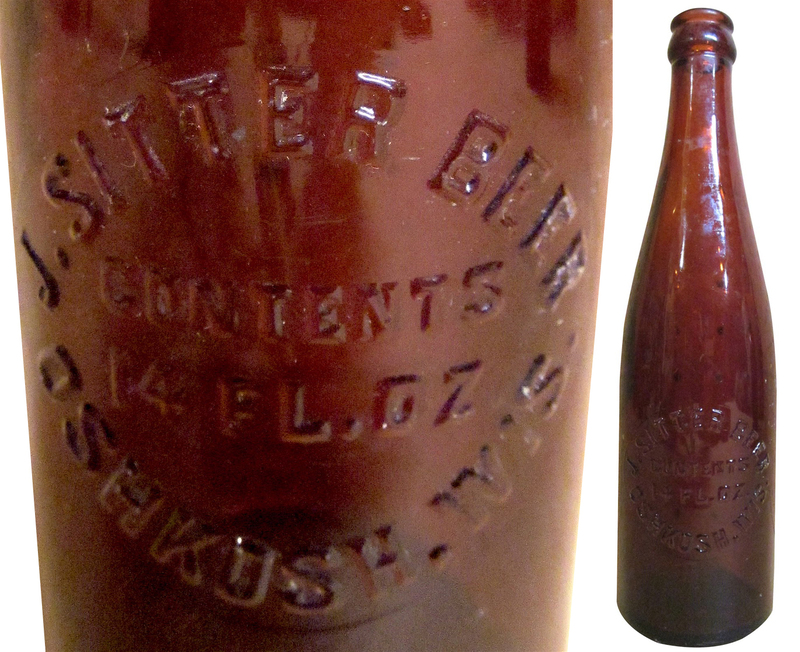 The Sitter name was embossed on many Oshkosh beer bottles in the early 1900s. By the age of 18, Mathias Sitter had joined the family business. He took it over when Johann Sitter passed away in 1920. 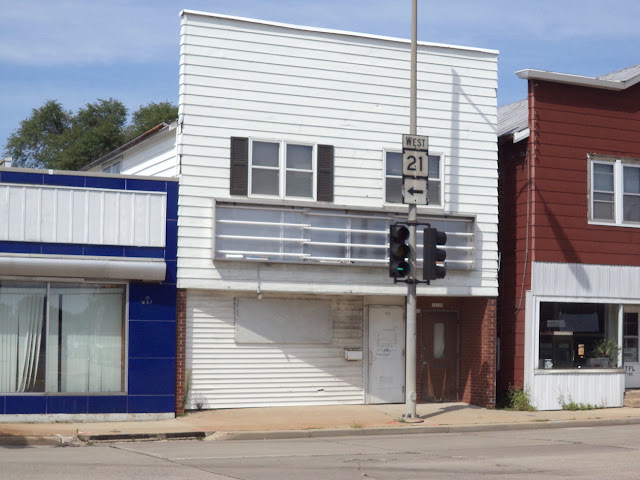 Working from the family home at what is now 1255 Harney Ave., the Sitter operation grew to include a liquor store and a tavern supply business. Prohibition made all of that illegal. Mathias Sitter went underground. Literally. He converted the basement of his home into a wildcat brewery. Federal agents caught wind of it. On a hot summer night in 1927, they came busting in. Raided in 1927, the Sitter family home still stands at 1255 Harney Ave. The feds broke in to find Sitter’s basement brewhouse running full tilt. There were 168 cases of beer ready to go out the door. There was enough beer in various stages of fermentation to fill another 204 cases. How do you produce that much beer in a residential neighborhood without drawing attention to it? Sitter had a singular advantage most bootleggers lacked. He had a front that could explain away the commotion of a brewery. After Prohibition began, the Sitters turned to dealing in soft drinks. The clanking bottles and delivery trucks wouldn’t have seemed out of place. Still, an operation this size could not have been much of a secret. Especially in a neighborhood where the bellwethers of beer making were so familiar. The aroma of fermenting beer wafting from the Sitter home would have been unmistakable. Sitter’s basement was crowded with fermentation vessels churning out beer. He had fourteen 30-gallon fermenters and one 40-gallons in size. They were full of beer when the feds broke in. Moments later they were empty. Their contents were drained onto the floor. Sitter was arrested. He was held on charges of manufacturing and possessing intoxicating liquor and maintaining a common nuisance. He spent Wednesday night in jail. Sitter was released the following afternoon on a $1,000 bond. He eventually pleaded guilty at the federal court in Milwaukee. Sitter paid the standard $1,000 fine and returned to Oshkosh. Mathias Sitter spent the remainder of the dry years here selling soft drinks. But when Prohibition ended in 1933, he went back to selling beer. Fifty years after Johann Sitter had come to Oshkosh, the Sitter family was back in the beer business. Legally. The Department of Revenue has finally released the complete set of 2016 beer production reports for Wisconsin breweries. I'll share the local numbers in a moment, but first here's some background on what we'll be looking at. The reports show the number of barrels of beer a brewery has produced for sale in any given month. • A barrel contains 31 U.S. gallons of beer. • That's the equivalent of 13.6 cases of beer. • Meaning each barrel contains about 330 twelve-ounce servings of beer. Now to the meat of the matter. The big story locally is the continued rise of Fox River Brewing Company. In 2016, Fox River was among the fastest growing breweries in the State of Wisconsin. That's an increase of more than 26% over last year's production. That's also the most beer Fox River has ever produced in a single year. There's more. Over the past three years, production at Fox River has risen by just over 90%. The sharp increase coincides with the brewery's 2014 decision to get back into distributing its beer beyond its brewpubs. 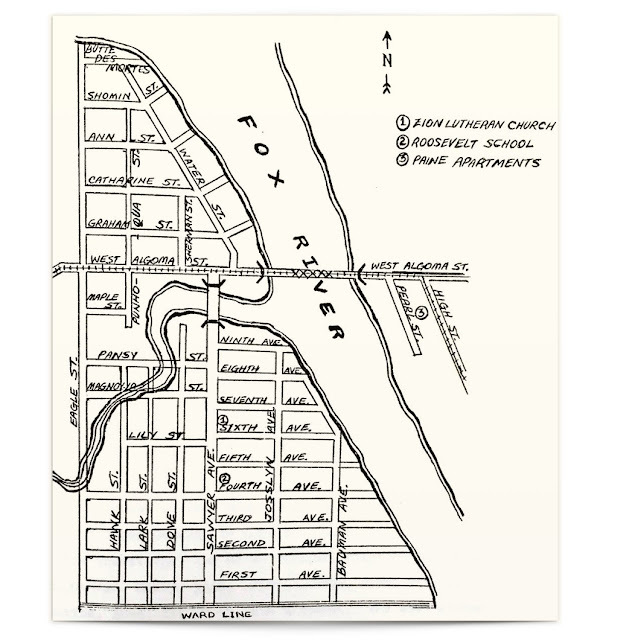 The lion's share of Fox River's beer was produced in Appleton, where the brewery maintains its bottling line. In Appleton, Fox River produced 1,500 barrels in 2016, an increase of 34% on its 2015 output. 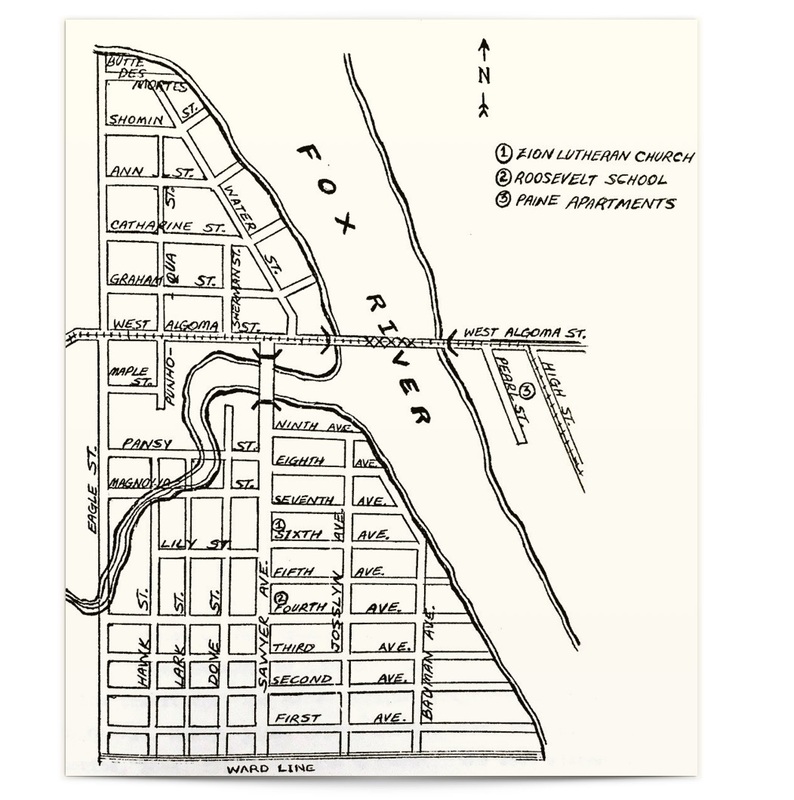 In Oshkosh, Fox River produced 1,046 barrels. That's an increase of 17% over the Oshkosh brewery's 2015 production. Bare Bones didn't begin showing up in the state reports until October 2015, so there's no meaningful comparison to the previous year's output. That said, there's something in the numbers worth noting. The peak month production-wise for Bare Bones in 2016 was December when the brewery reported producing 63.75 barrels of beer. That level of production defies most assumptions made about the brewery when it launched in 2015. The consensus among many was that Bare Bones would thrive during the summer months when the WIOUWASH Trail was open. Conversely, business would slow when colder weather would keep bikers off the trail. The predicted winter slump appears not to have materialized. Production through the latter half of 2016 was strong at Bare Bones. The Neenah brewery didn't begin reporting its output until 2016, so there are no year-to-year comparison points. However, I think it's safe to say production at Lion's Tail will increase in 2017. 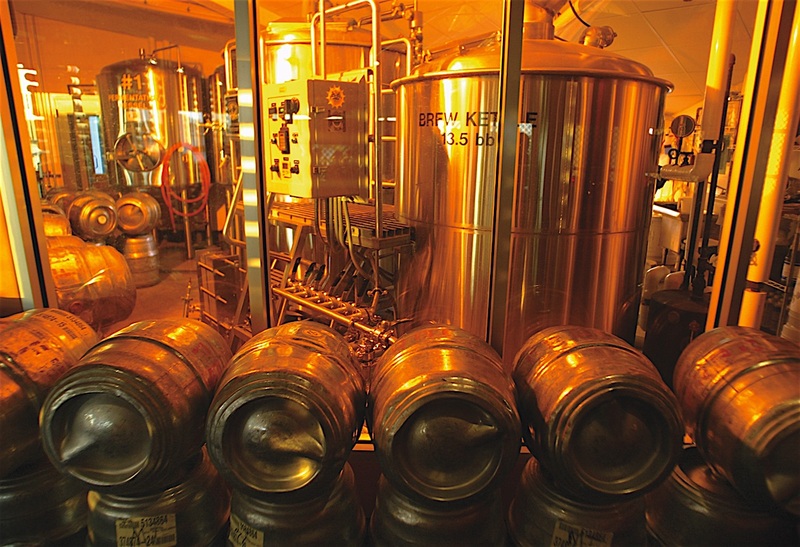 The brewery plans to expand its capacity and put more emphasis on distribution this year. That should translate into increased production. They're holding steady at Stone Arch. The brewery produced 28.56 more barrels in 2016 than it produced in 2015. That's an increase of about 1%. ABF is the only brewery in the bunch that saw its production decline in 2016. The brewery's output was off by more than 25% in 2016. ABF produced 103 fewer barrels in 2016 than it did in 2015. Knuth Brewing in Ripon entered the state production reports in August 2015, so a year-to-year comparison isn't possible. Production has steadily risen at Knuth, though, since the installation a new 6-barrel system in August. This is another brewery you can expect to see grow in 2017. A nice increase of 35 barrels – 14.5% more than the brewery's 2015 output. That's good to see. Established in 1990, Rowlands is the Grand Dad of modern brewing in our area. Rowlands, continues to have a dedicated fan base in its hometown of Chilton. Overall, it's been another good year for beer in Oshkosh and the breweries in its vicinity. While the larger, nationally distributed craft breweries report sales declines, the local scene here continues to grow. 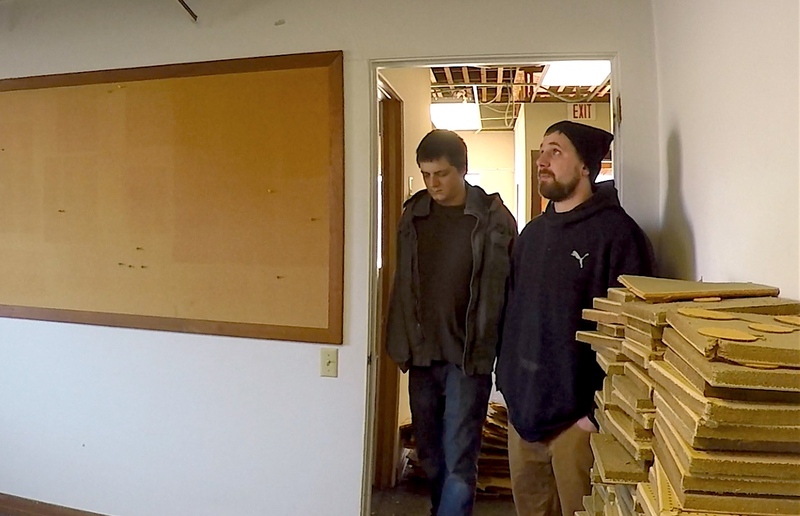 Inside the future home of Fifth Ward Brewing Company of Oshkosh. Ian Wenger (left) and Zach Clark working this morning on the space that will house their brewery on S. Main Street. Theodore Fisher was thriving. He had a three-story building at the corner of 6th and S. Main streets. There he ran a hotel, a saloon, and a brewery. The hotel was legal. The saloon and brewery were not. It was 1927. Prohibition was on. There was real money to be made in beer, now that it was illegal. The Former South Side Hotel, Saloon and Brewery at what is now 601 S. Main St.
Theodore Fisher was born in Wisconsin in 1872. Much of his early life was spent on a Pierce County farm in western Wisconsin. But farming was not for Fisher. He wandered out of Pierce County and wound up in Oshkosh. About 1917, Fisher took over the saloon and hotel at the corner of 6th and S. Main. A bachelor, he made his home in a room above the saloon. Downstairs, Fisher sold beer made by the Oshkosh Brewing Company. The Fischer Saloon in 1919 with an Oshkosh Beer sign. 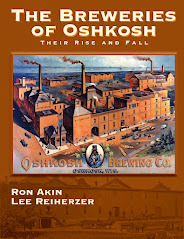 After the dry law arrived in 1920, the Oshkosh Brewing Company could no longer supply Fisher with beer. Fisher saw an opportunity there. He’d make his own beer. He set up a brewery in the basement under the saloon. He hired a brewer named Frank Weber. He could produce about six barrels of beer in each batch. The money came rolling in. Before Prohibition, Fisher had been selling draft beer for a nickel a mug. Approximately half that nickel went to the Oshkosh Brewing Company. It was tough for a saloonkeeper to get ahead. The dry law changed the equation. It caused beer prices to skyrocket. Fisher could sell bottles of his wildcat brew for a quarter – five times what he used to get for a schooner of OBC’s beer. And there was no outside brewery taking a cut from that quarter. The illicit beer trade was lucrative in the extreme. All was well until the summer of 1927. July 4, 1927. Fisher's Wildcat Brewery & Saloon on the parade route. Federal Prohibition enforcement officers had turned their attention to northeast Wisconsin. The area was teeming with wildcat breweries. A series of raids were planned that would begin in Oshkosh, move to Appleton, and conclude in Green Bay. On the Wednesday evening of August 24, 1927, the raids began. “Five federal dry operatives hit Oshkosh with a crash,” the Daily Northwestern reported. Fisher’s place was the first taken down. The Milwaukee Sentinel reported that the cops broke in to find 110 cases of bottled beer. Another 200 gallons of beer were ready for bottling. In all, Fisher had some 420 gallons of beer at the time of the raid in his basement brewery. In today’s money that beer would be worth just over $15,000. It all went down the drain. As was their practice, Prohibition enforcers smashed the brewery and shattered every container of beer. – Oshkosh Daily Northwestern, August 25, 1927. The cops arrested Frank Weber, the brewer, and Otto Finder, a bartender at Fisher’s saloon. Fisher was nowhere to be found. A warrant was issued for his arrest. He turned himself in the next day. He wasn’t in jail long. Fisher cut a check for $2,000. By Thursday afternoon the three were back on the street. 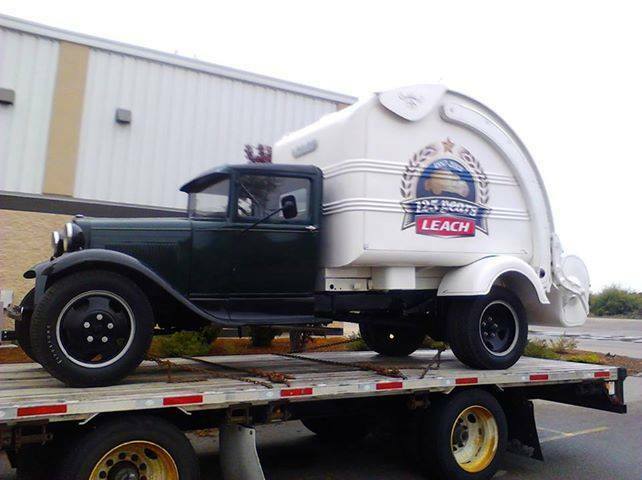 It’s not known whether Fisher repaired his brewery and went back to making beer. If he did, he didn’t get caught again. In any case, he kept right on running his hotel and “soft drink” parlor. The arrest didn’t appear to hurt his reputation any. In 1933, the year Prohibition ended, Fisher was elected to the Oshkosh city council representing the Third Ward. He stayed on in the tavern business in Oshkosh until the end of the 1930s. Theodore G. Fisher died in Milwaukee in 1940. He was 68 years old. Old Hank was a 1930s Ford discovered in a junkyard near Brown Deer in 1961. The Oshkosh Brewing Company restored it and had it fit with a reefer that could hold beer at 40º Fahrenheit. Old Hank was used by OBC in the 1960s for promotions and beer deliveries to special events. Following up on Old Hank. Here's Old Hank in 2011 after it had been remodeled by The Leach Co. Photo courtesy of Dan Radig. 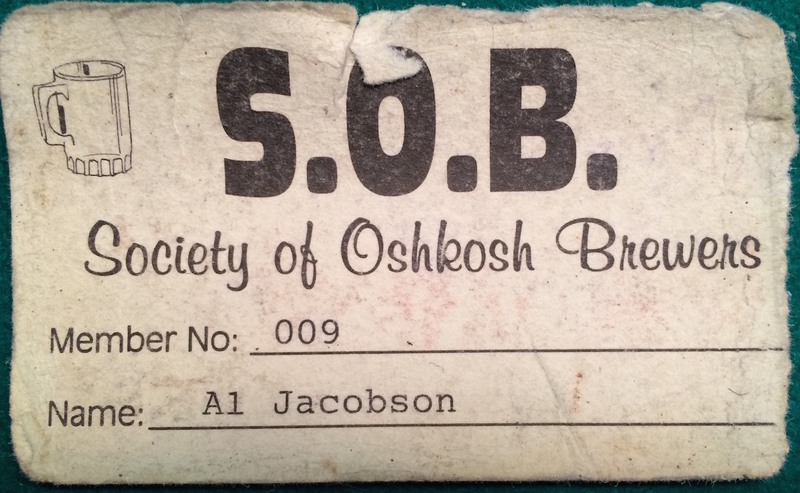 A conversation with Mike Engel, the recently re-elected president of the Society of Oshkosh Brewers homebrew club. We discuss the state of the club and the SOB's plans for 2017. 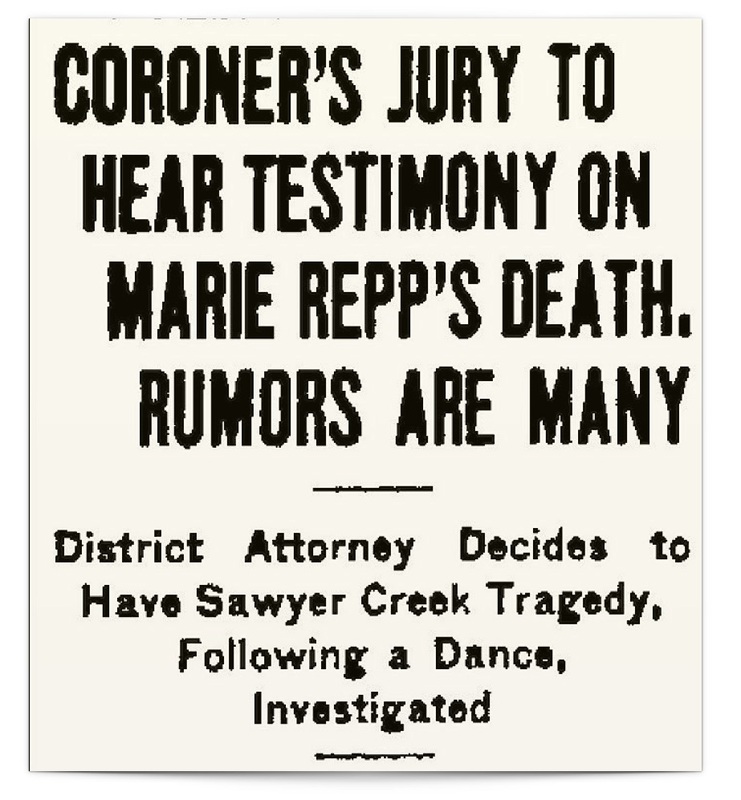 On a quiet, warm Sunday morning in late July, the corpse of young Marie Repp was found floating face down in Sawyer Creek. She was adrift under the Sawyer Creek Bridge. Her body was discovered by three boys who went to the creek to retrieve a boat. A 10-year-old named Alvin Hartmann came upon her first. The girl in the water was his neighbor. She lived across the street from him on Sawyer Ave. Terrified, Hartmann scrambled away. He ran home to get his father. 1922 had just taken another ugly turn. 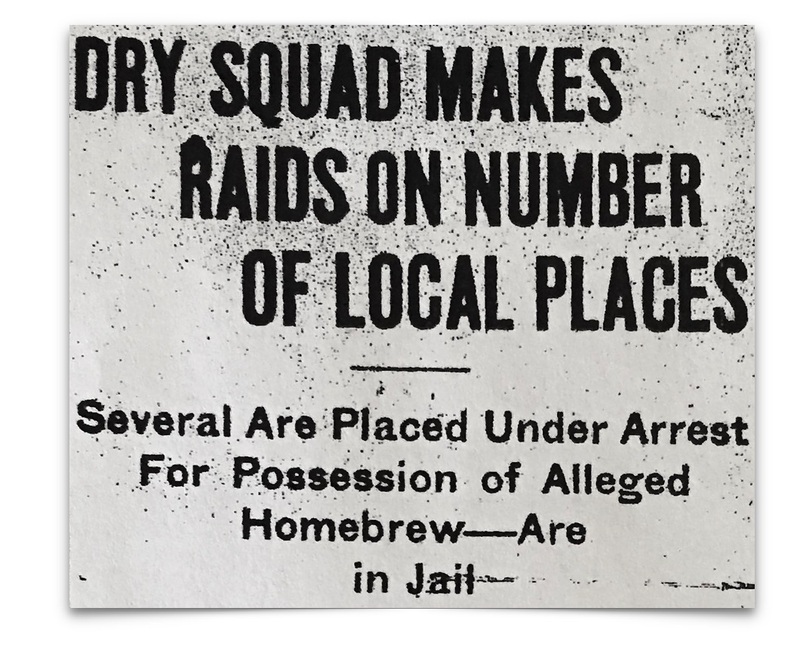 When Prohibition began in 1920, its supporters in Oshkosh swore the law would bring order to a community they claimed was disoriented by drink. By 1922, the hollow ring of that promise had grown deafening. 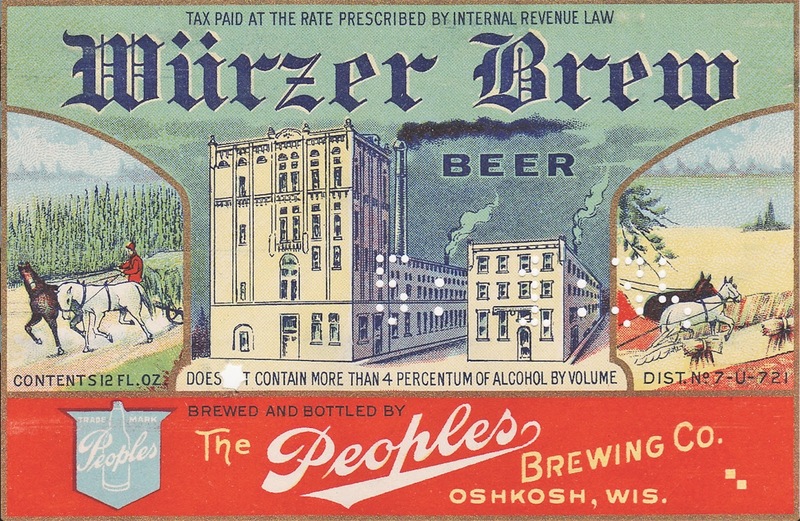 The majority in Oshkosh opposed Prohibition. Many dismissed it with total disregard. The dry law normalized lawlessness. The enforcers fired back. Beginning in January 1922, federal and state Prohibition agents made a series of raids on Oshkosh. The city had been put on notice. Oshkosh police tended to look the other way when it came to illegal liquor. Now they were pressured to take action. It was telling that Gabbert openly wondered if it were even “possible” to reign things in. It was also instructive, and no secret, that Gabbert made wine at home. Such contradictions proliferated here in the wake of Prohibition’s onset. Whether Oshkoshers liked the law or not, one thing was absolutely clear: the city was riven by crime. The greatest fissure may have been in the old 12th ward. Oshkoshers called it the West Side where the “Rooshins” lived. The epicenter of the neighborhood was West Algoma St., now known as Oshkosh Ave. where it intersected with Sawyer Ave. The West Side. 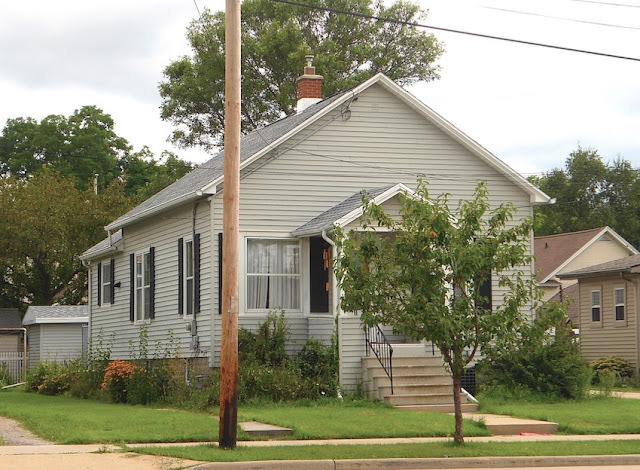 West Algoma St. is now Oshkosh Ave. (west of the river) and Congress Ave. (east of the river). The immigrants of the West Side had taken a hard road to Oshkosh. They were ethnic Germans whose ancestors had been lured to Russia in the late 1700s by offers of autonomy and free land near the Volga River. A century later, Russia revoked their privileged status. The Volga Germans went on the move again. Some came to Oshkosh. The wave began in 1899. 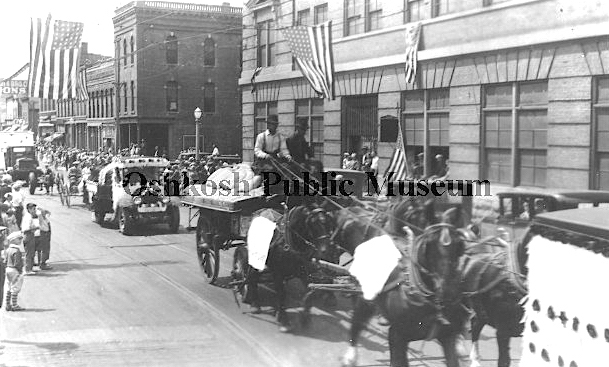 By 1905 there were nearly 300 Russian-Germans living in Oshkosh. They found work at the Paine Lumber Company and built homes on the West Side. 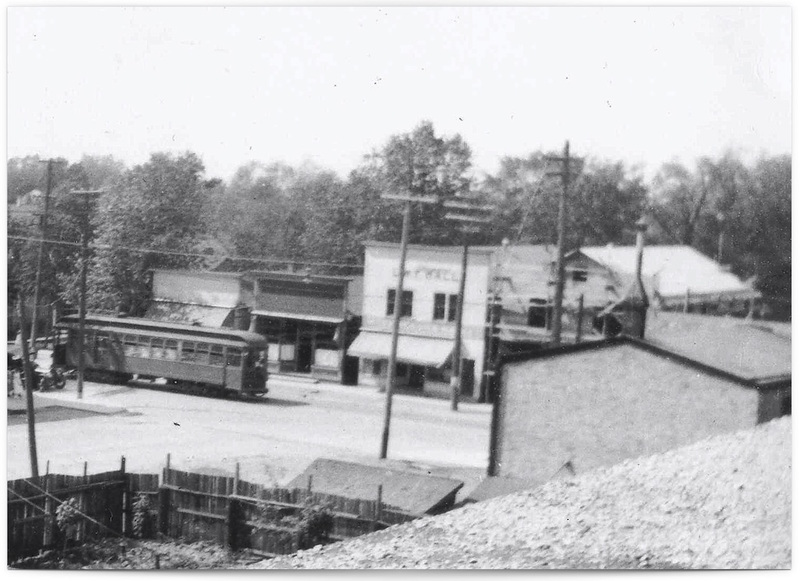 The community they formed was set apart from that of other German immigrants here. Marker in Abe Rochlin Park, N. Sawyer Ave. The Volga Germans spoke an antiquated German dialect seasoned with Russian. They were deeply conservative, of rural origins, and intent on maintaining their distinctive culture. But often their children didn’t share their parent’s commitment to the old ways. Marie Repp embodied the generational divide. Marie Repp was born in Oshkosh on June 30, 1903. Her parents and older siblings were Russian-born. When she was two, her father Johannes Repp died unexpectedly. Her mother remarried another Volga German and moved the family to Wyandotte, Michigan near Detroit. By the age of 15, Marie had left school and was working in a factory in Wyandotte. It was expected of her. She didn’t like it. On her own, Marie returned to Oshkosh in February 1922. She was 18 years old. Prohibition had been in effect for two years. The city was beginning to roil. Marie moved in with her older sister Katherine, whose husband was George Leinweber. Their home was on Sawyer Ave., a block south of the Sawyer Creek Bridge. The German Volga dominated the neighborhood. 1117 N. Sawyer Ave., the home of Marie Repp at the time of her death. Like many of her neighbors, Marie found work at the Paine Lumber Company. It was a miserable job. She told a friend they had her, “Working in glue,” and that her job was too hard. On weekends, she escaped the dreariness of the mill by going to dancehalls. A 1922 letter penned by an angry mother and published in the Northwestern described the dancehall atmosphere in Oshkosh. On the evening of Saturday, July 29, Marie Repp was bound for just such a place. She had spent most of the day with her close friend, 18-year-old Amelia Kleveno. They were neighbors on Sawyer Ave. The two had known one another since childhood. Like Marie, Amelia was of German-Volga descent. Like Marie, Amelia worked at Paine Lumber. The two had gone downtown earlier in the day to shop on Main Street. Marie bought a hat and white stockings. They met again at around 8 p.m. on Sawyer Ave. Marie was wearing her new clothes. The dance at LWT Hall was already underway. They crossed Sawyer Creek Bridge heading north and could see LWT Hall ahead of them. 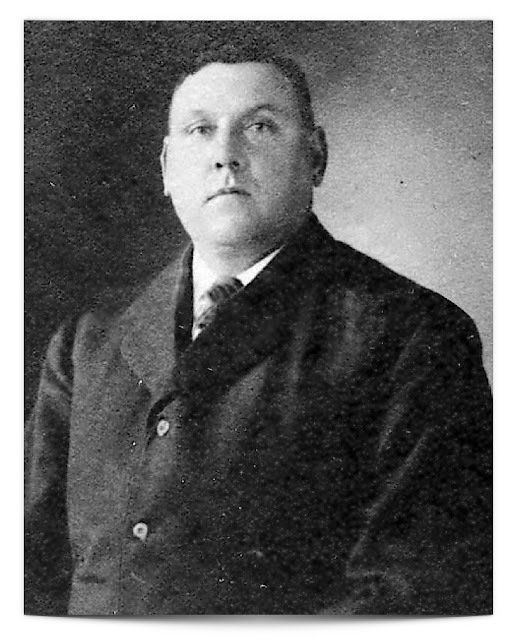 The hall was owned by long-time Oshkosh barman Louis W. Tyriver. 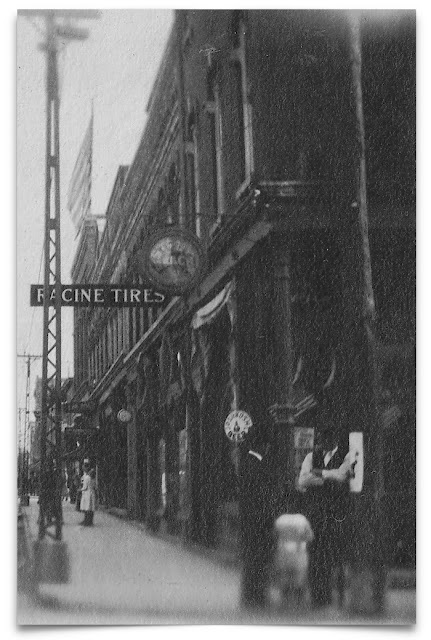 Before Prohibition, Tyriver had run a saloon (now known as Repp’s) in the neighborhood. With the saloon business suffering under the burden of Prohibition, Tyriver had taken to staging dances at his neighboring property. LWT Hall in 1922; the white building on left. Photo courtesy of Dan Radig. It didn’t keep Marie and Amelia away. They entered the hall, joined the dance, and promptly lost one another in the swirl. Marie met a young man named Carlton Youngwirth. They danced. Youngwirth was 20, a year older than Marie. He worked as a clerk at a shoe store on Main St. Youngwirth lived with his parents on Prospect Ave. His father was a cop. Youngwirth had apparently been drinking before Marie met with him. He had been in a fight at the dance earlier in the evening. Marie wasn’t troubled by any of it. About 10 p.m. she and Carlton Youngwirth left LWT Hall together. Marie didn’t tell Amelia she was leaving. The couple headed east on foot into a warm July night. They crossed the Bridge over the Fox River. 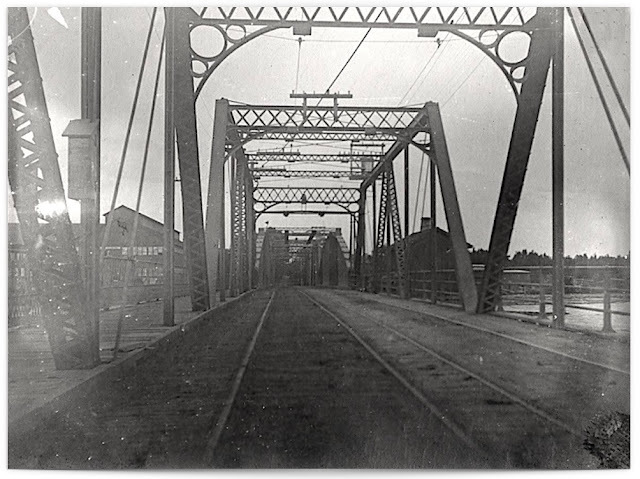 Looking east over what is now Congress Ave. Bridge. When they reached High Ave. they walked south almost a mile. They found a deserted spot near Osceola St. They settled in the grass. It didn’t go well. Carlton Youngwirth later said he made “advances” on her. He pressed her too hard. He said they “tussled.” Marie was well developed and strong. She was too much for him. Youngwirth gave up. The tryst was over. Together, they walked back to the West Side. They had been away about an hour and a half. Three men were on the corner near Sawyer Ave. Marie knew one of them. She called, “John, wait.” His name was John Luft. Marie went to him, leaving Youngwirth behind. Marie and Luft had worked together at Paine Lumber. Luft was Volga German and lived in the neighborhood. As Marie approached, he noticed her white shoes were muddy. There was dirt on her pink dress. Her hair was tousled. Luft saw Youngwirth standing where Marie left him. Luft turned towards Marie and teased her, “How do you like your boyfriend?” She didn’t reply. Luft offered to walk Marie home. They began down Sawyer, Luft’s two friends following behind. Marie was quiet and reserved. She walked with her head down. She appeared to be in low spirits. When Marie returned home, her sister Katherine met her at the door. It was dark in the house. Katherine didn’t notice the mud on Marie’s dress and shoes. She asked Marie where Amelia was. Marie said she didn’t know and went to her room. It was the last time she was seen alive. About 3 a.m., Karl Krueger was making his rounds at the Paine Lumberyard. He heard a splash near the Sawyer Creek Bridge. Krueger thought perhaps some drunk young man had fallen into the river. He went to the bridge and shouted, “Say young feller, are you trying to make a mud bath?” There was no response. Krueger called out again. He heard nothing more. In the morning, Katherine went to Marie’s room. Marie wasn’t there. Her soiled clothes were in a heap on the floor. Her bed hadn’t been slept in. Katherine left the house and went down the street to Amelia Klevenos home. Amelia said she hadn’t seen Marie since dance. About this time, Alvin Hartmann was running home yelling for his father. Paul Wawrzinski heard the ruckus. He was in his brother’s saloon near Sawyer Creek. Wawrzinski went down to the creek. He saw Marie’s body floating under the bridge. She wore only a blue apron that had gathered above her hips. Wawrzinski's small boat was moored nearby. He rowed to the body and brought it to shore. At the Oshkosh Clinic near Jefferson and Washington streets, the body was examined by physician John F. Schneider. 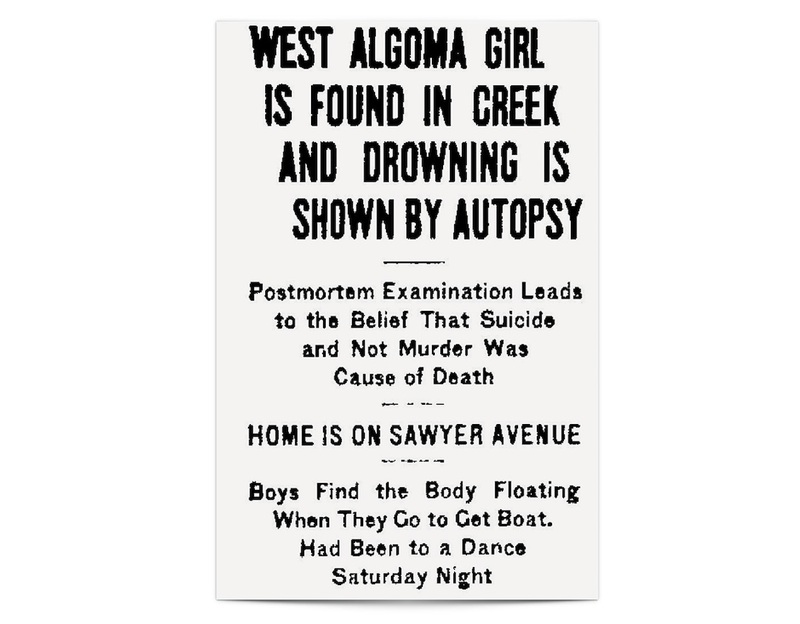 On the death certificate Schneider wrote in pencil, "Drowning probably suicide." That might have been the end of it if not for the outcry already occurring on the West Side. Within the insular, Volga-German community on the West Side, the death of Marie Repp was met first with disbelief, then anger. Few accepted Schneider's suggestion that it was a suicide. They knew Marie too well. She wouldn't do such a thing on her own. They pointed to the unruliness that infested their neighborhood. It was moonshine, public dances, and outsiders that caused this. 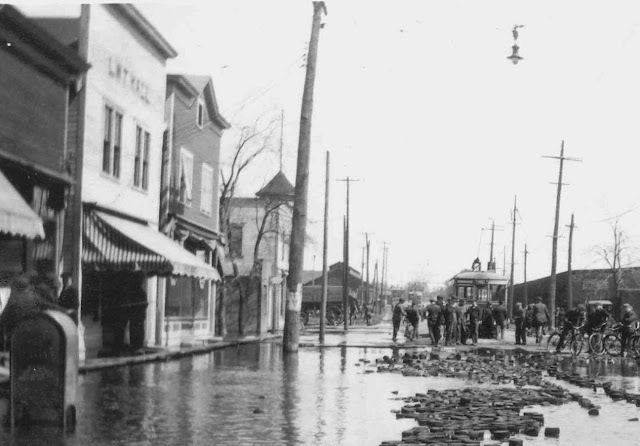 The Daily Northwestern reported, "Mingled with feelings of sorrow, the residents of that locality express some bitterness over the situation. 'It is not the young men of West Algoma who are responsible for the disorder at the public dances,' said one of the residents. 'It is a group of pool hall graduates from the north side and some of the tough youngsters from the south side who come out here with a bottle on the hip and raise trouble.'" The West Side wanted justice. But an autopsy returned little that pointed towards foul play. There were no bruises or marks suggesting a struggle had preceded Marie's death. There was no indication of sexual assault. All the same, something had to be done. Despite the complete lack of evidence, police arrested Carlton Youngwirth. He was charged with criminal assault. A public inquest began a week after Repp's death. The assembly room on the top floor of city hall was jammed with nearly 500 spectators. Many of them were residents of the West Side. Many were children. As the boisterous crowd swelled, Chief Gabbert ordered every person under the age of 19 out of the room. It was a show trial. Witness after witness stated they had seen nothing unusual. They each reiterated that Marie hadn't appeared to be under duress the night of her death. There was no evidence presented that Youngwirth had any involvement with her after their parting at the Congress Street Bridge. Death by suicide was the verdict. The charges against Youngwirth were dropped. The outcome brought little satisfaction. Blame shifted. A letter to the Daily Northwestern cited Repp’s death as proof Oshkosh was “destroying” its young. In the days that followed, Repp was portrayed as a victim of the moonshine epidemic. Her death a consequence of the lawlessness that had taken hold in the city since the onset of Prohibition. Chief Gabbert renewed his pledge to shut down the moonshiners. He had to say such things. He also had to know it was a promise he could never keep. Resistance to the dry law was too pervasive. Oshkosh was inundated with small-time producers of bootleg liquor: people making booze in their homes and selling it to their friends and neighbors. It had quickly become an accepted part of life. The flow could not be stemmed. The death of Marie Repp sparked an upheaval of outrage. Things had finally gone too far. For a city never known for innocence, the reaction was startling. But the outcry was short lived. It burned bright and burned out. By the fall of 1922, the summer’s furor had quieted. The calls for and promises of reform trailed off. Moral indignation gave way to exasperation. It would be another decade before things changed. 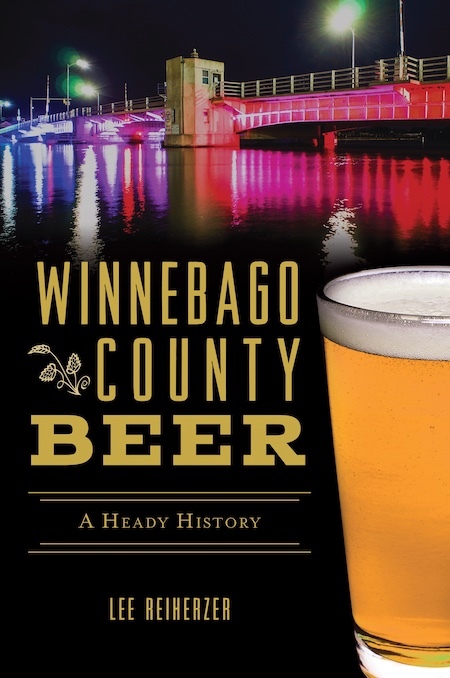 When Prohibition ended in 1933, the lawlessness that typified Oshkosh during the dry years went into abeyance. The moonshine dried up. LWT Hall became a grocery. In recent years it was an adult video store. The Volga German had long since moved on. The hall where young Marie Repp had her last dance was torn down in 2016. LWT Hall, circa 1923. Photo courtesy of Dan Radig. The Society of Oshkosh Brewers homebrew club formed in 1991. Here's one of the club's original membership cards. Al Jacobson is a founding member of the SOBs and still active in the club.